Moderate moisture to moist. 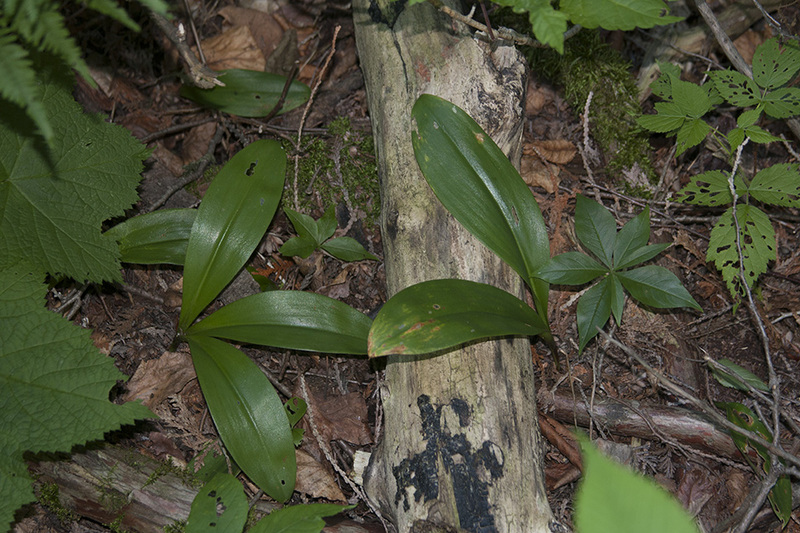 Coniferous, deciduous, or mixed woods; wooded bogs; swamps. Full shade. 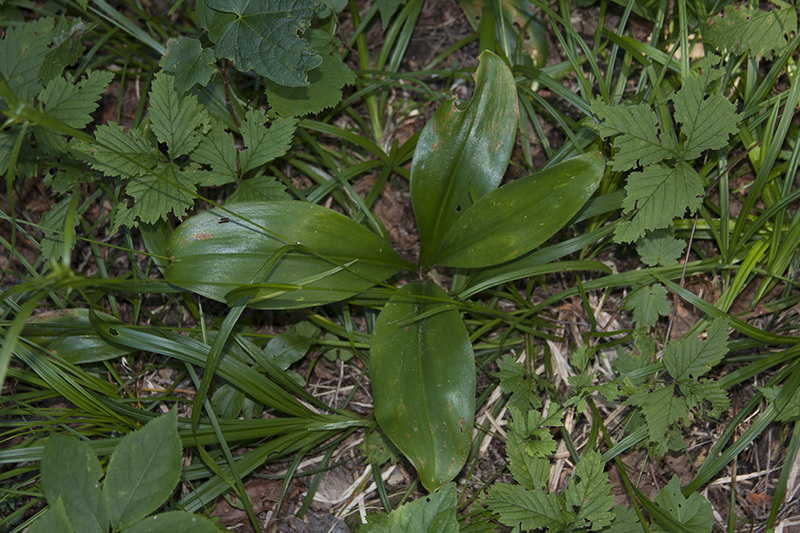 This is a perennial forb that rises on a rosette of basal leaves and a leafless flowering stalk from a thin spreading rhizome with thin fibrous roots. 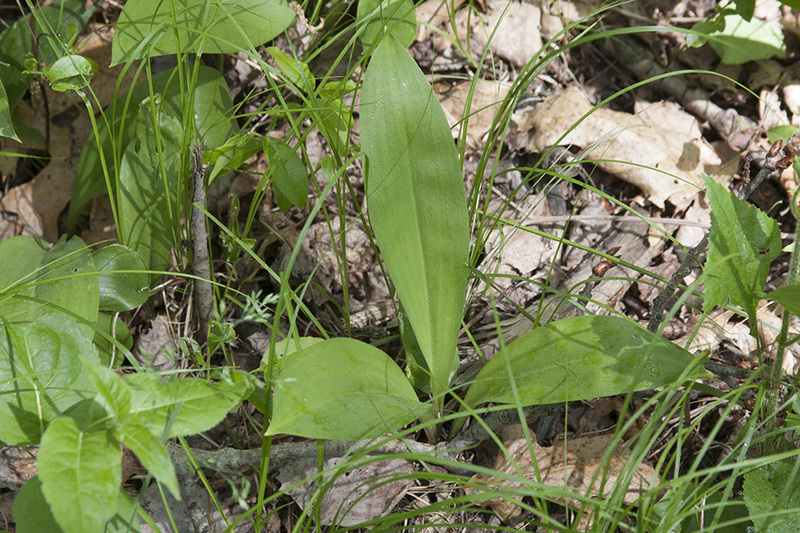 There are usually 2 or 3 basal leaves, occasionally 4 or 5. 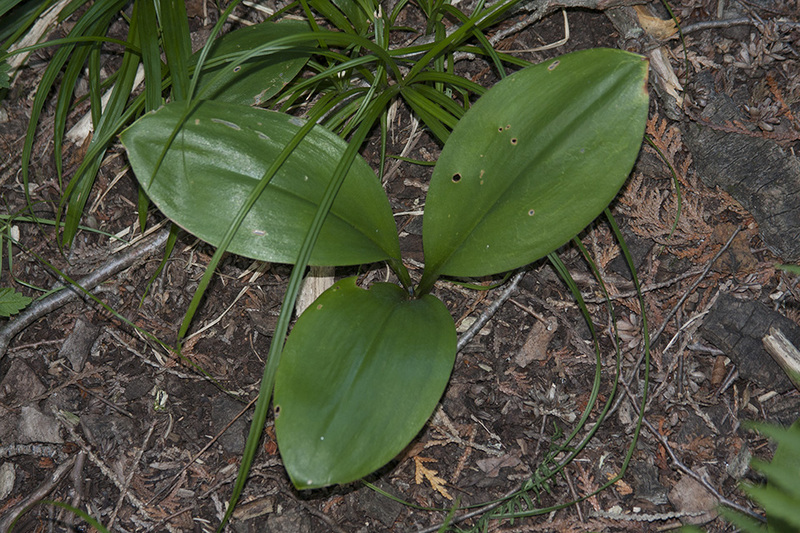 The leaves are stalkless, oblong to elliptic or inversely egg-shaped, 6″ to 12″ long, and 2″ to 3″ wide. 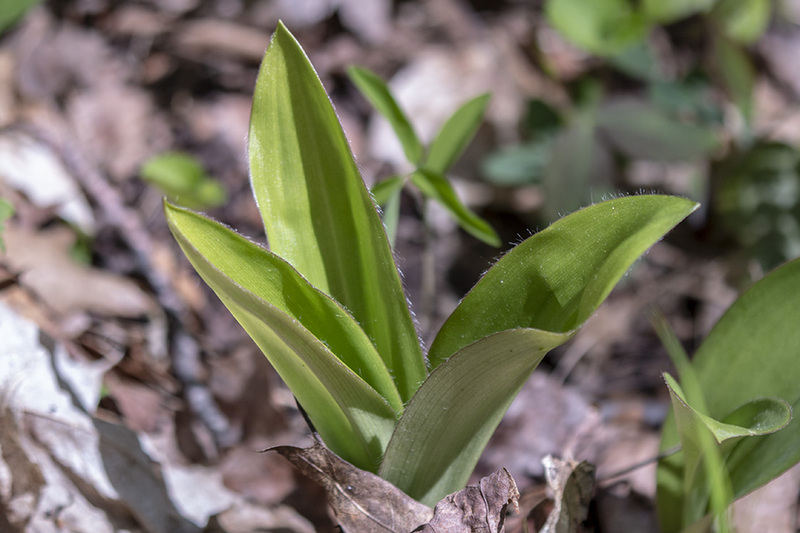 They sheath the scape at the base and taper abruptly to a sharp point at the tip with concave sides along the tip. 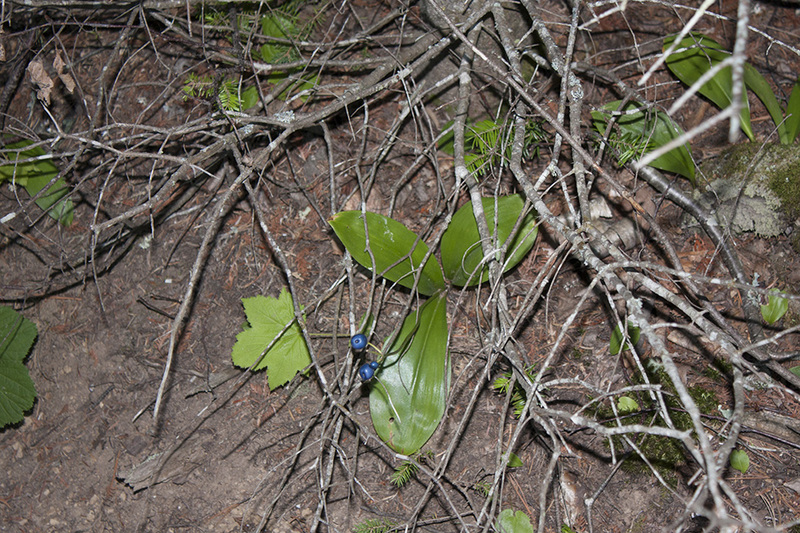 The upper surface is dark green and glossy. The margins are untoothed and have a fringe of hairs. 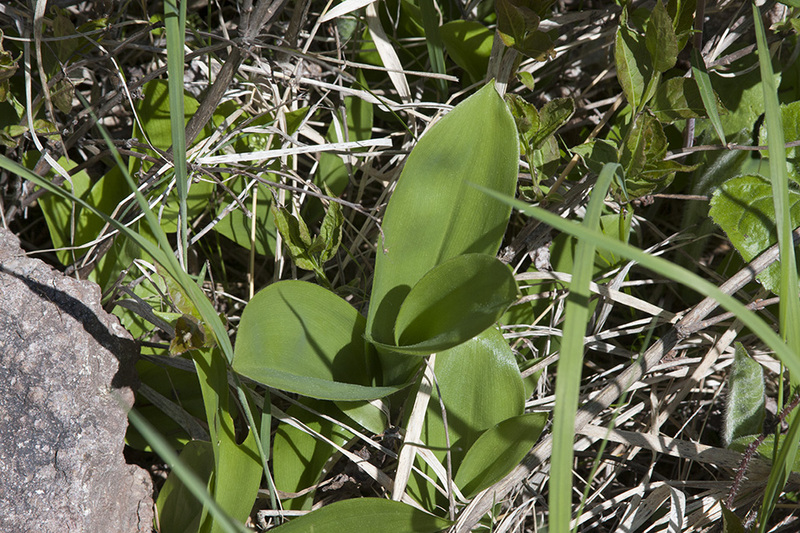 The flowering stalk (scape) is 6″ to 16″ tall, erect, unbranched, and hairy, at least when young. 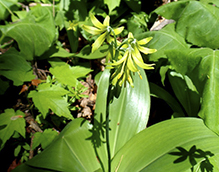 The inflorescence is an unbranched cluster (raceme) of 3 to 8 flowers at the end of the scape. 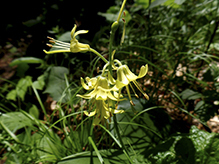 The flowers nod at the end of a ⅜″ to 1¼″ long stalk (pedicel). The pedicels are covered with soft hairs. Each flower is about ⅝″ long. 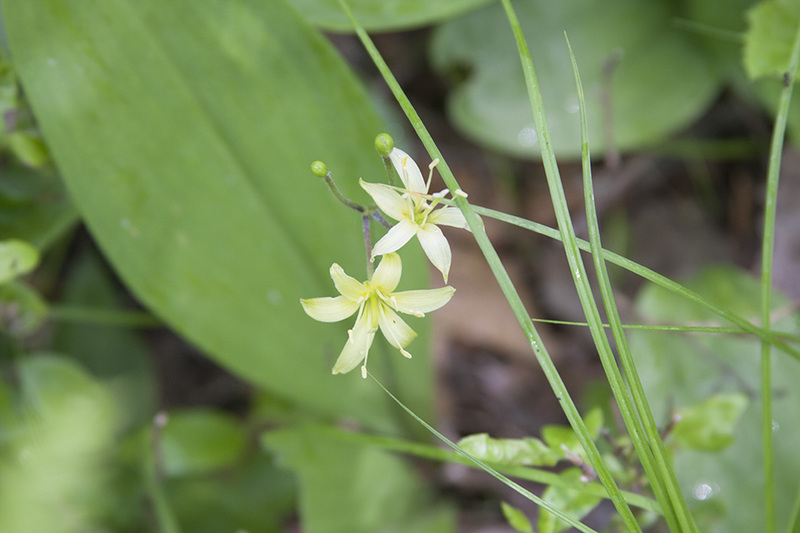 There are 3 petals and 3 petal-like sepals (tepals), 6 stamens, and 1 style. 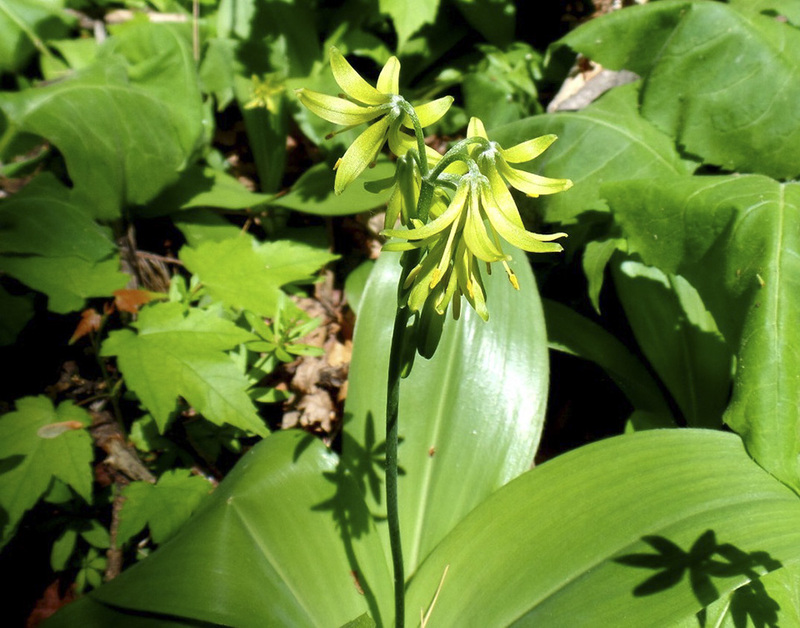 The tepals are yellowish-green, narrowly oblong, ½″ to ⅝″ long, and ⅛″ to 3 ⁄16″ wide. 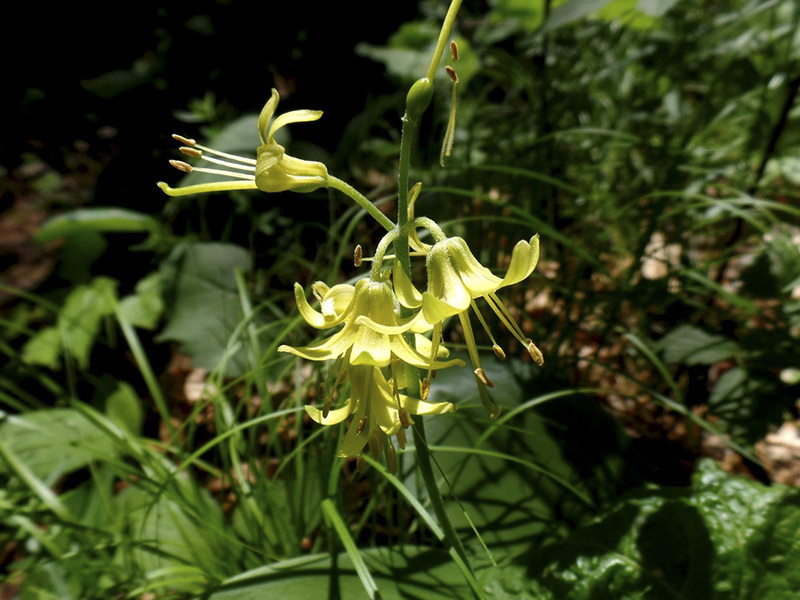 The stamens have slender, ½″ to ⅝″ long filaments and oblong, 1 ⁄16″ to ⅛″ long anthers. 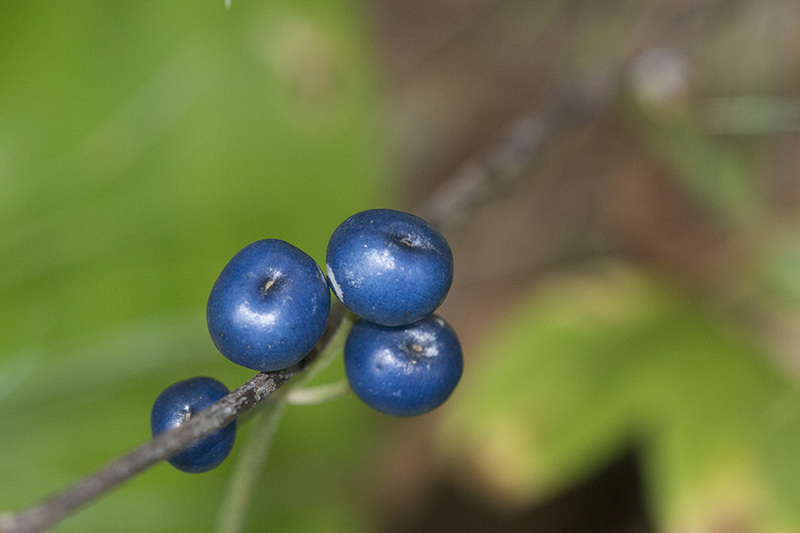 The pedicels become erect in fruit. 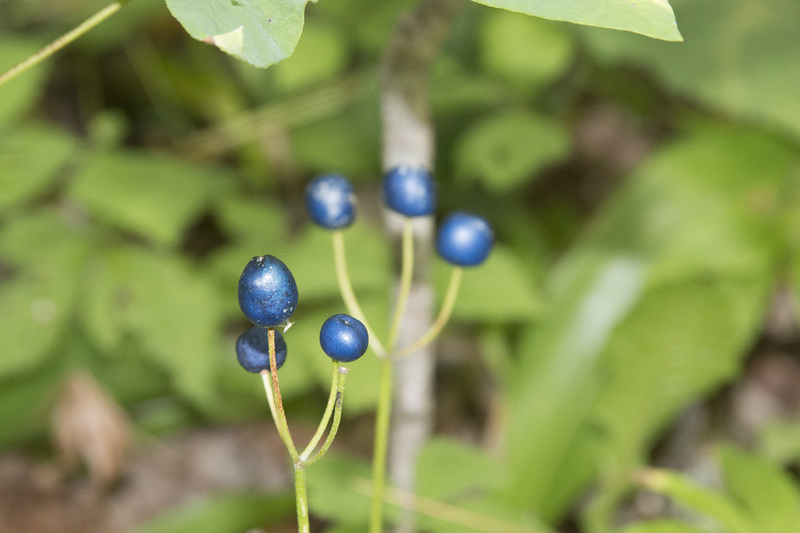 The fruit is an dark blue, egg-shaped, 5 ⁄16″ to ½″ in diameter berry with a few to several seeds. It ripens in mid-summer. 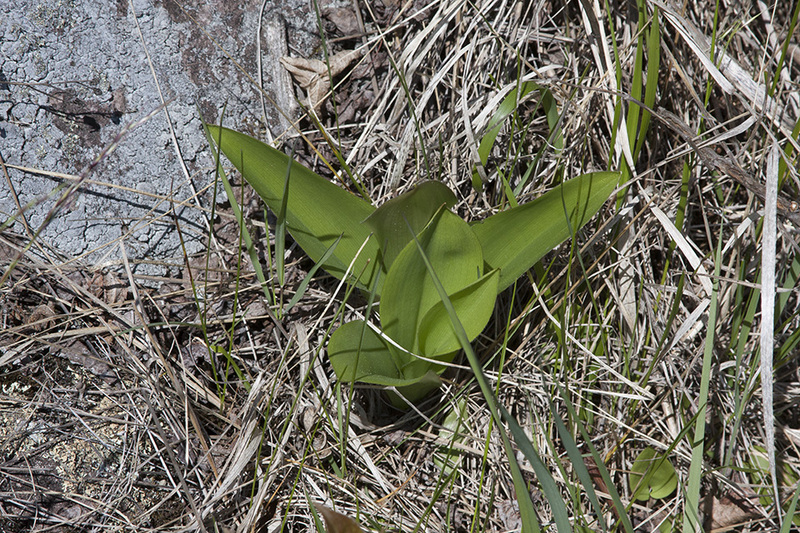 Only saw one of these a few years ago, but this year found a couple of large patches. 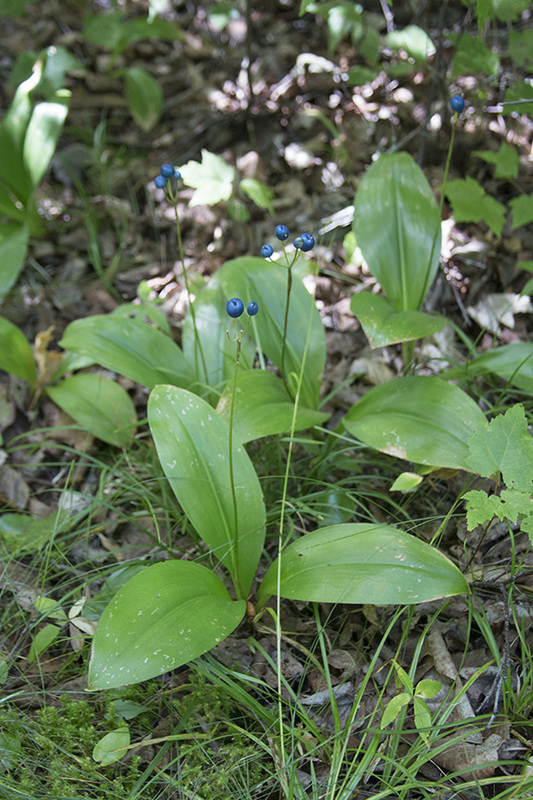 Part 11 in an ongoing series of documentaries on wild edible, medicinal, and toxic plants. 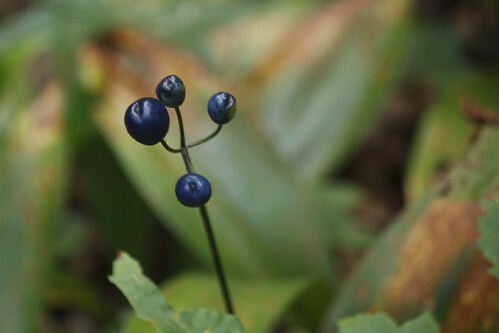 I'm covering the highly medicinal "Yarrow" (Achillea millefolium) and the tender edible "Yellow Clintonia" (Clintonia borealis). All video footage is recorded by me on the GoPRO Hero 4 Silver Edition. Some of the pictures taken from reputable sources on the internet. 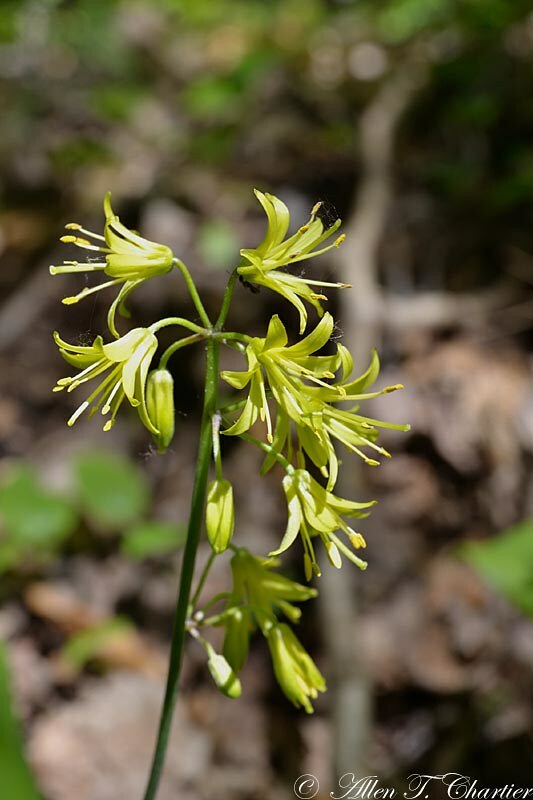 Click 5:45 to skip to Yellow Clintonia. 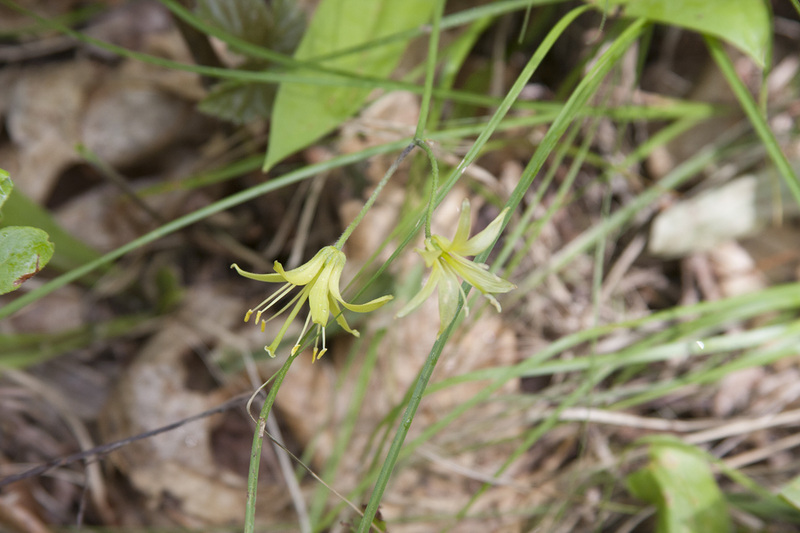 In this video we identify and talk about what is and is not edible on this common forest floor plant. 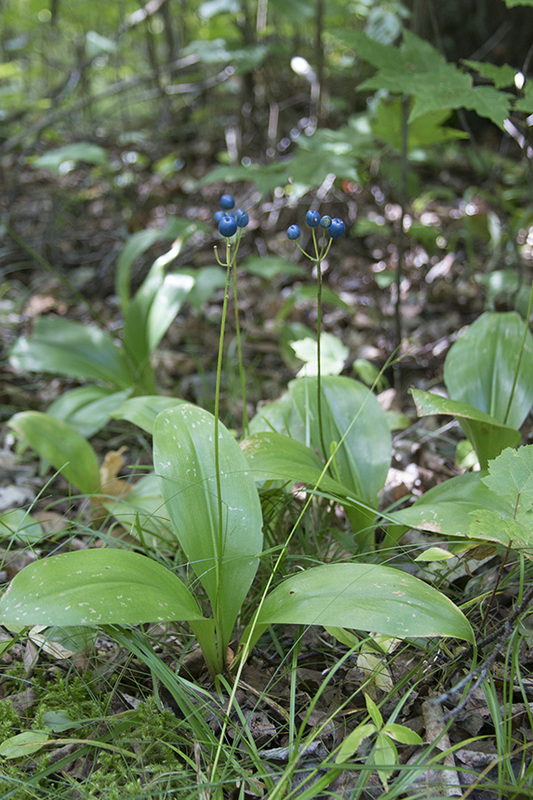 Common throughout eastern North America, the Bluebead Lily has both edible and inedible parts.